Some times you would need to refresh your Test or Development system from Production one. In this Article I will review transport related activities, which you have to perform after the system refresh. I will review Solution Manager and ChaRM specific steps, but also would cover scenarios without this tools. Please, be extremely careful when you refresh your Development system. Because in this scenario you also would need to close all open cycles (if you use ChaRM) with this DEV system before system refresh. In This case please review note 2259615 – “ChaRM: Correct Procedure of System refresh or copy regarding DEV system in Charm Project” first, and follow the steps described there. Set all request for changes and change documents (belonging to the Cycles in which you have DEV system as Development one) in to Final status. Check table E070L in DEV system -> Record field PROJECT and TRKORR. 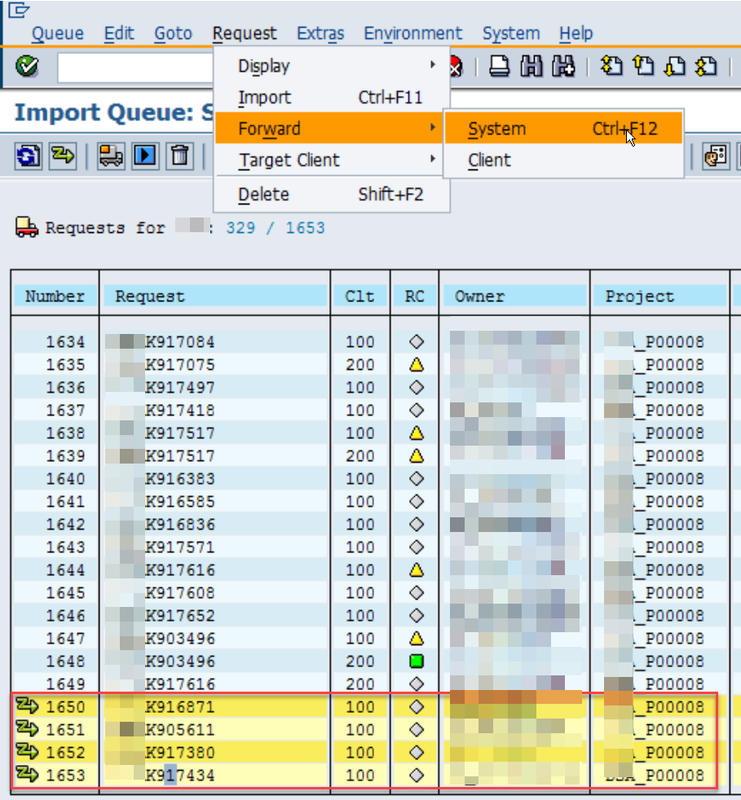 Usually after QAS system refresh you would like to import transport requests (which was imported to QAS before and not yet imported to the reference system – PRD) once again. So before system refresh you would need to store this delta. There are several ways how to get it. If you want to calculate delta of transport requests manually, you need to login to QAS and PRD systems, and just save content of E070 Table (which would contain data about all imported tr`s). Difference between PRD and QAS system, of DEVK* transports, would be our delta. 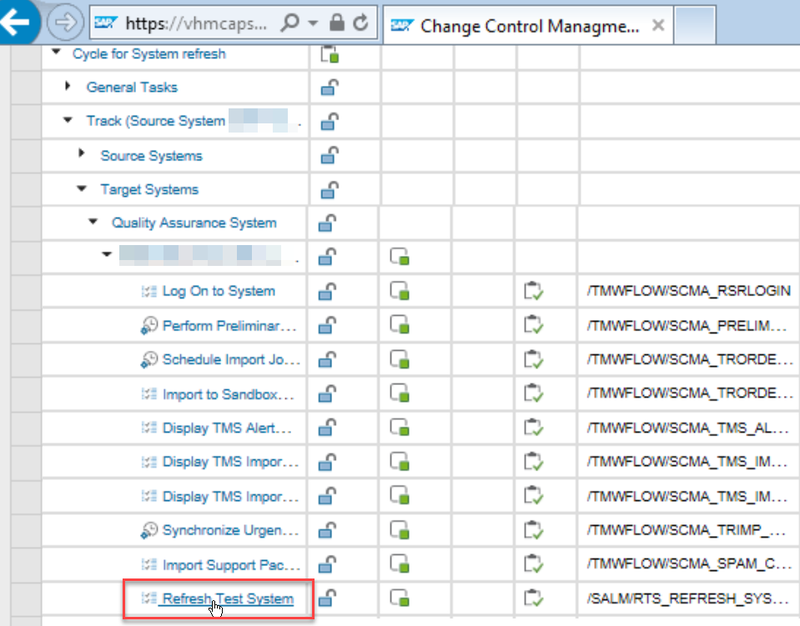 Before using this scenario you need to perform initial configuration of it, according to ST-OST configuration guide. 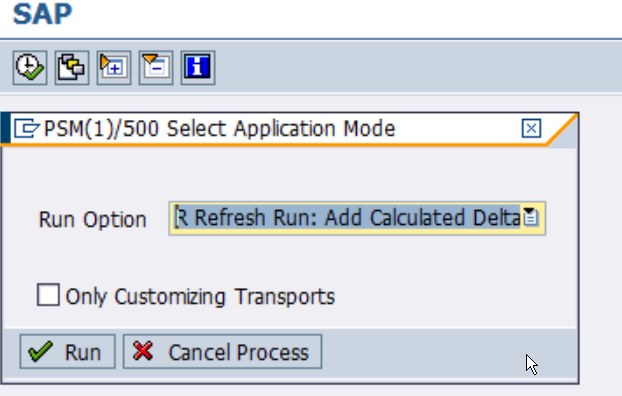 If you have calculated Delta with Solution Manager, you can compere your manual delta with automatic one. 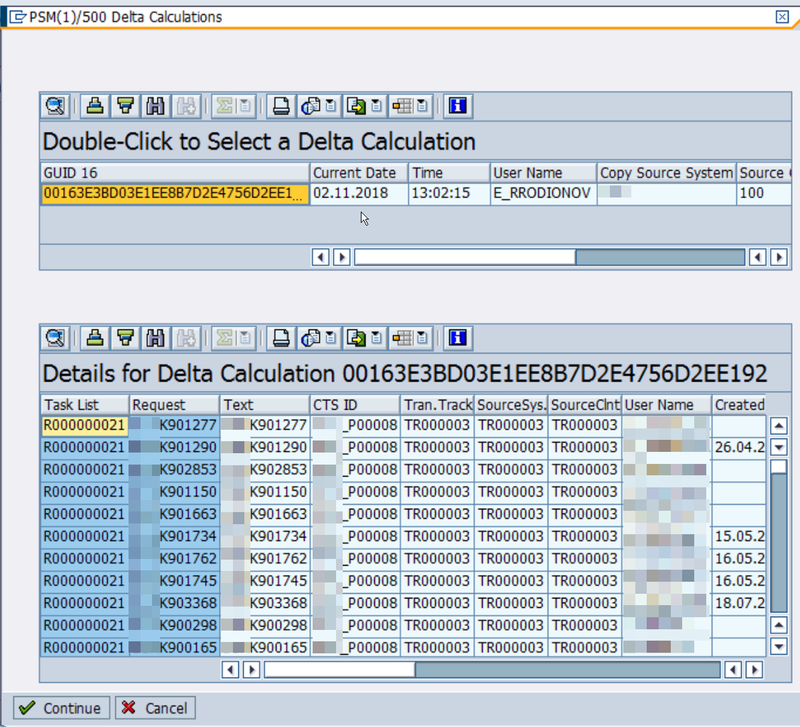 Since solution managers delta calculated based on the ChaRM history, stored in the /tmwflow/track_n table, and not based on e070 tables in the managed systems, you can have differences between your deltas. I.e. check if you have transports which are not in the import buffer of the PRD system any more (was manually removed form the import buffer). If you have differences, it has to be manually adjusted after the import queen alignment. If you also use ChaRM please consider following additional steps to be performed in Solution Manager. Clear table CTSPROJECT at database level. 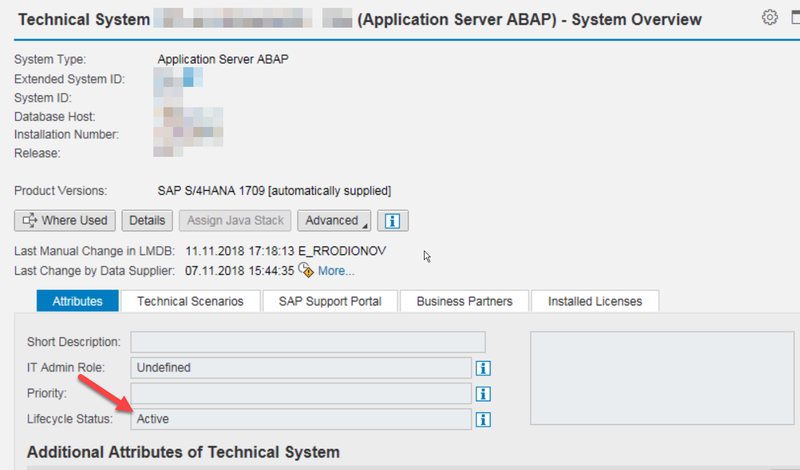 Reset NumberRange of CTS Project ID and Transport request ID: Refer to Note 1674286 to change the value of field PROJECT and TRKORR in table E070L to the recorded value in Step1 of Pre activities. Change the DEV system ID in Charm Project if needed -> Create new cycle and task list. Saving of the the import buffers for the systems is necessary, to perform checks. 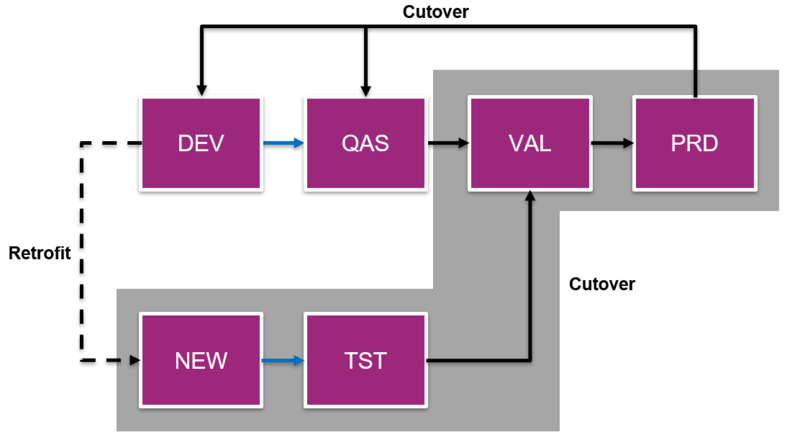 In example to check that after QAS import no new transports was added to the import buffer of VAL system. To do this just login to the managed system, run transaction STMS, refresh the import buffer of the system, and save it to Excel. If you would use this option please double check, that after QAS import no transport requests was added to the import buffer of VAL system, once again! p_sc   TYPE mandt OBLIGATORY DEFAULT sy-MANDT. SELECT-OPTIONS: s_req FOR tmsbuffer-trkorr OBLIGATORY DEFAULT sy-SYSID. LOOP AT s_req WHERE sign = 'I' AND option = 'EQ'. IF NOT lt_log IS INITIAL. If there was difference with manual delta and automatically delta (i.e. files are not in production buffer any more), cleanup difference from the import buffer. After the import please double check that delta TR`s was not added to the next system of the landscape (VAL). If they are added, you can manually delete them from TMS. 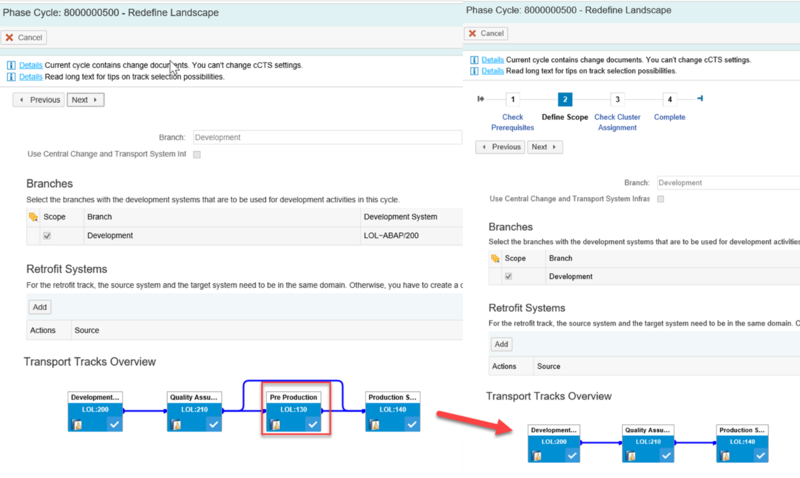 Add the QAS system back to the transport routes in transaction STMS of your Domain controller. 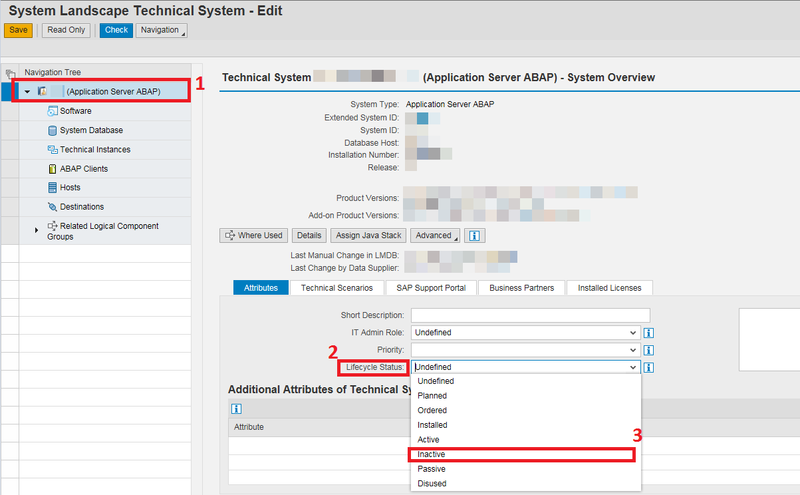 In related solution manager cycle choose More->Redefine Landscape option (to add QAS to the landscape. 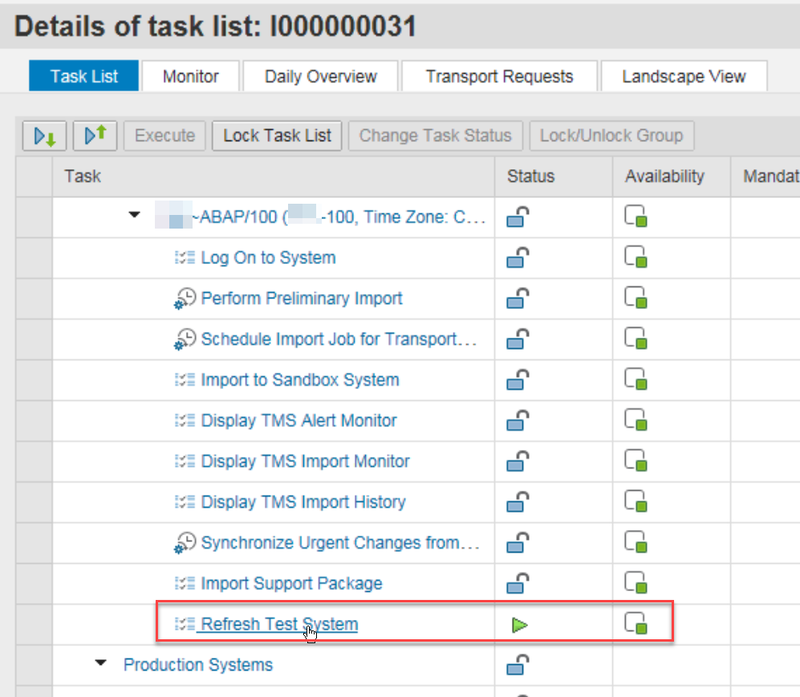 Solution manager will automatically update the task list structure and the contents of the Landscape assignment block. 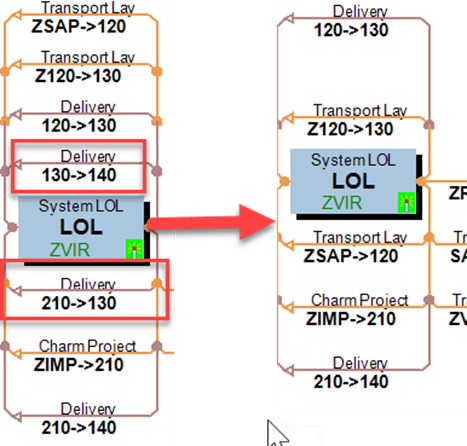 2522998 – What steps need to be performed in ChaRM before overwriting QAS data with PRD data?